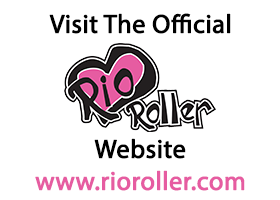 The Rio Roller Girls: Ditch The Gym, Pick Up Your skates! What are the health benefits of skating ? 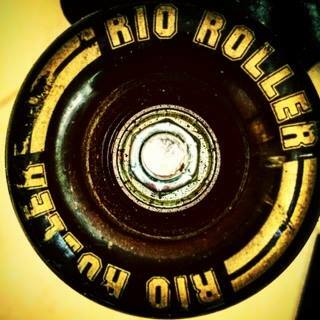 Aside from being so much fun, being able to listen to my favourite bands and whizz along like a hot wheels car, the health benefits are another reason I love to skate . Keeping in shape is important to me - but walking and jogging bore me to no end, and the gym is a scary concept for me... Not to mention it costs money! Skating has such great health benefits ..
1. It's great for your heart ! 2. It improves balance , agility and co ordination ! 3. Its fat burning 4. Awesome work out for your arms and legs 5. Easy on the joints 6. Good cross training exercise ! 7. Good for your mood ! ...plus you can pretty much do it anywhere ..apart from the road ..don't be skating in the road ! Personally for me keeping in shape is relatively important now I'm approaching 25 and slowly waving good bye to my teenage body, and we read everywhere how important it is to start looking after yourself sooner than later in order to lead a more energetic lifestyle. I also find that an early morning skate does wonders for my mood - and burns through some of my excess adrenaline that likes to plague and feed my anxieties. Getting rid of this excess adrenaline means I spend less of my energy trying to figure out my intentions for the day and more energy actually carrying out my intentions... Thus leading to a productive day and well earned relaxing evening! 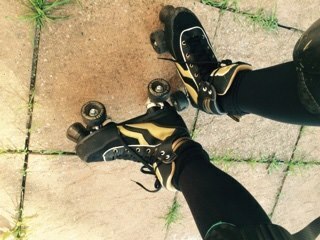 Autumn is also my favourite time to skate - the summer months can get pretty hot with all my safety gear on, and autumn provides suitable weather conditions for a good work out. Fancy trying an autumn skate? Make sure you kit up properly, lots of thin layers are better than a big woolly jumper!